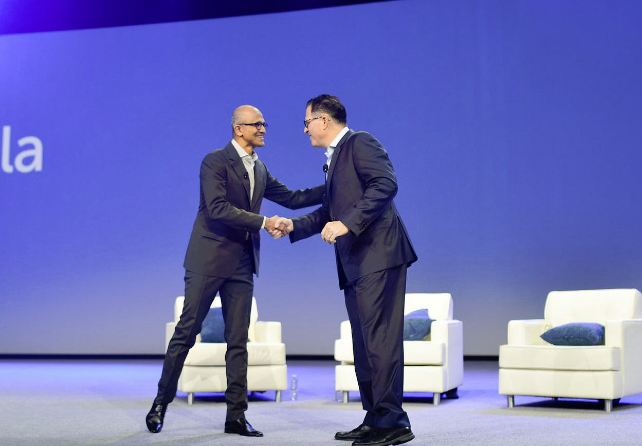 ‘The Future is Now’ were the words on everybody’s lips at this year’s Dell World conference. The US computer giant stands on the brink of sealing the biggest tech deal in history as it prepares to acquire data storage hardware company EMC for $67bn. If accepted by the shareholders, the deal could catapult Dell away from its waning personal computer legacy into a mega player within the enterprise technology field. More than thirty years on from when Dell first began selling computers from his Texas university bedroom, the PC industry has changed a lot. Given the meteoric rise of the smartphone alongside tablets, it is no surprise that the latest Gartner PC figures showed a 7.7 per cent fall in worldwide PC shipments from the previous year. And while Dell’s own sales still saw growth, the move into further digitisation could be Dell’s wild card in the face of an industry on the decline. One venture that is certainly set to be in the spotlight over the coming year is the Internet of Things – an area of which the Middle East could play a major role. Last year, the company founded its 18th solutions centre in Dubai and is now to hire 200 people to work on an IoT project for a major, but as-of-yet undisclosed local healthcare provider. Give there are currently 10 Dell employees in the region – six in Dubai and four in Saudi Arabia – this will be a dramatic boost to operations here. Further development is also like in areas of building automation, oil and gas, power and even hospitality. Plans for an internship programme helping graduates in Saudi Arabia are said to be underway, though Dell was unable to confirm those at this stage. And despite being in the industry for more than 30 years, Dell’s drive shows no signs of abating – in fact if anything, the EMC merger seems to ignited an enthusiasm of start-up graduate as opposed to t a seasoned veteran. “If you told me I couldn’t do this, I’d be depressed,” he says. “I like doing the stuff. I am tremendously excited about the role that technology has in changing the world…I look at what has happened in the last 30 years, there has been a lot of progress in the world; you read about a lot about bad things in the world, but there has actually been a tremendous amount of progress.